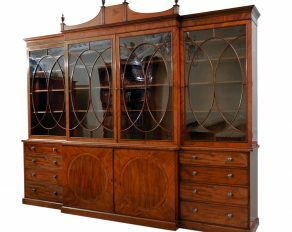 A fine Hepplewhite period breakfront or wing bookcase circa 1790. 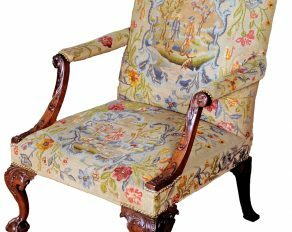 A rare George II mahogany Library Armchair circa 1750. 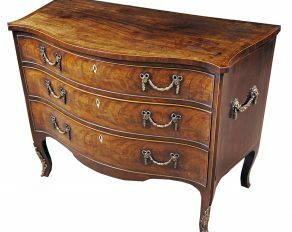 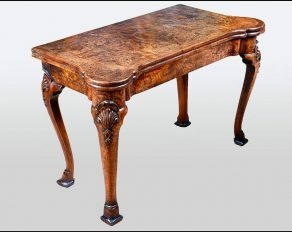 A fine Hepplewhite period mahogany commode in the French taste circa 1775. 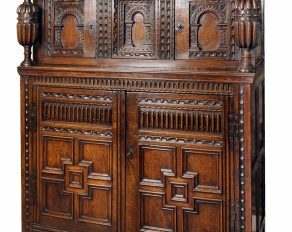 A magnificent James I period English Oak press cupboard circa 1620.